I just have to tell you how much I enjoy and appreciate your software. I've been a customer for many years. Maybe not all the way back to 2000, but long enough I remember having email "conversations" with Alex late at night here from Cleveland OH. You have put so much thought, intellect and effort into your products. I admire that greatly, and I admire what you have done with this software company. The entire enterprise is very professional. I hope you all make a kazillion dollars from this. For my part, I'll keep using and upgrading my Maniac Tools products. (Free M4a to MP3 Converter) I just wanted to say this application is brilliant. It does exactly what it says it does, simply and easily. (Visual MP3 Splitter & Joiner) Excellent utility which works very well. Works better than freeware solutions I have tried. I'll have no hesitation in purchasing further utilities from you when required. Great program! A little pricey for the market, but I'm definitely considering it, since it's the only program that easily retags and renames based on file structure. very cool. Thank you very much ! ! ! This works like the other two components of the Media Studio Suite. By the way, I have tested more than 20 other database related programs, and decided for this one. What a pity, I haven't come across these before. Yours really meet my criteria and requirements. I bought an Ipod Photo and when i realized that almost all of my mp3 files didn't have pictures or album cover/art i was quite upset. After searching the web for a good mp3 tag editor WITH ability to auto-download the cover art directly to the file, i found out that there's not a lot of good software that does this. 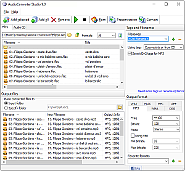 Of Course you can use Musicmatch Jukebox or Windows Media Player to get pictures but they are not very good for tagging, auto-complete fields or batch renaming. I tried many programs but not one works as well as this one. 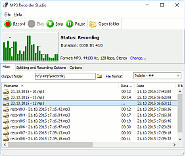 I have more than 10 000 MP3 and i got them organized, renamed with correct tags and album cover very quickly using this software. It's great for my Ipod photo !!! You truly have one of the finest tagging programs out there and I am sure the other two are just as superb. I've been using mp3Tag, the demo version, for a few months now. I have a library of mp3's that is now 12,998 songs large, all ripped myself from my CD collection. I've been collecting CD's since I was a kid and I have over 900 now, even had a flight case built at Oceans to try to make moving them all from apartment to apartment more convenient while still keeping them organized. Ultimately that got ridiculously heavy and inconvenient so I took a lot of time to encode them all to mp3's so I could have all my music on a hard drive - so much easier to move from apartment to apartment with to say the least. Your program saved me an invaluable amount of time. I tried a LOT of different ones and found yours the best available for not just creating and managing my ID3 Tags, but also for making playlists and keeping a database file of the entire collection. I am using your program for quite some time now and, in my opinion, it is the ultimate tagging software there is today! "Media Catalog Studio Lite, making sense of your media mess." With my media library growing everyday I was looking for a way to organize it all. I found Media Catalog and plan to stick with it. This program searches all available media devices/drives to locate any type of digital type media. Once you install this program and search for media it immediately creates a very detailed catalog of your media. Media Catalog then takes that information and creates a great deal of options for you, such as, searching your music media by Artist or by year. This program is pretty good to have handy. Give it a try.